From left back: Martin, Terry, Tim, Paddy - and in front, Brian and David. 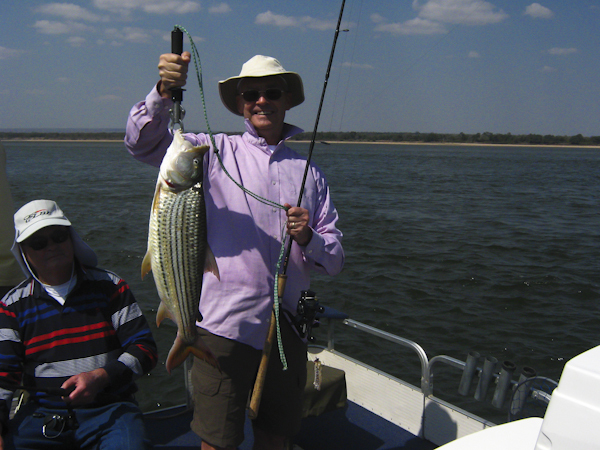 During our first week in Southern Africa, David went up to Zimbabwe for a fishing trip with his four brothers, Paddy, Tim, Terry and Martin, plus brother-in-law, Brian. 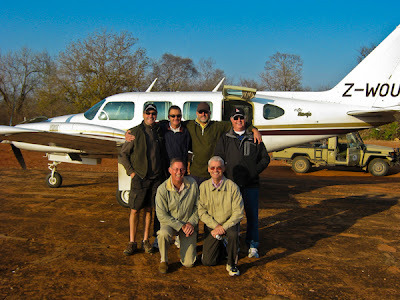 They flew from Harare Domestic Airport, early in the morning, to the tiny Chekwenya airstrip, down in the Zambezi Valley. From there, they were driven to the mighty Zambezi River, where their boat was waiting for them to start fishing immediately. Their camp was further down river at Shamashanga, where they arrived at dusk. 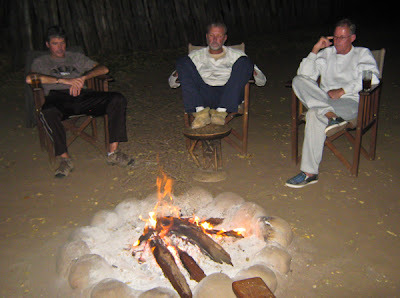 The camp is a tented camp, with 8 en-suite two-man tents, a central dining area and a campfire area. 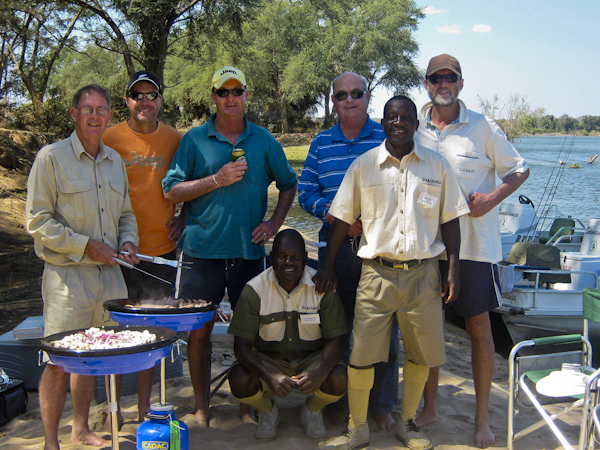 Luckily, they had the camp to themselves as there were no other visitors for the duration of their stay. 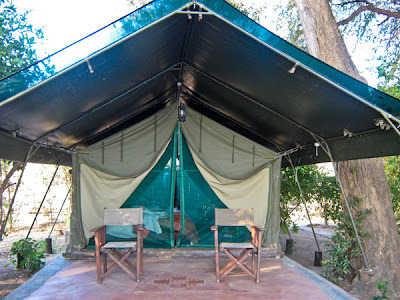 One of the tents at Shamashanga, with the veranda overlooking the Zambezi. ...followed by relaxation around the camp fire. Sometimes they stopped to watch game. 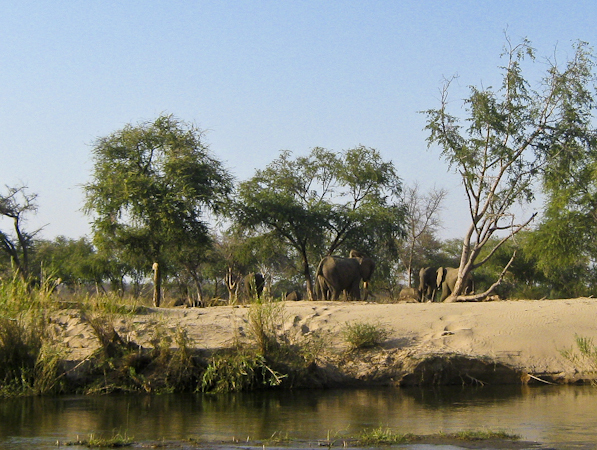 David said that there were vast numbers of elephant, hippo and crocodile in the area. 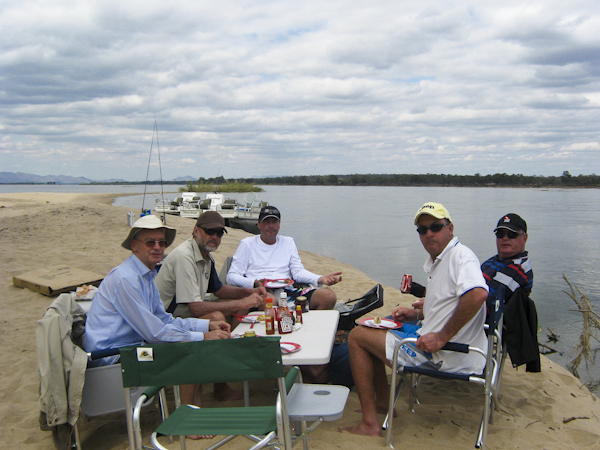 Enjoying a braai, with their boat skippers. 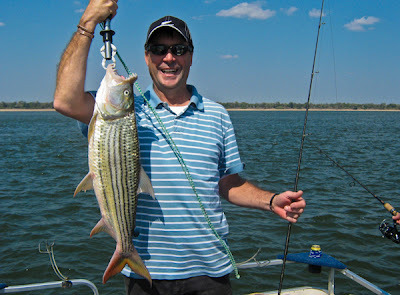 Tim got to celebrate his birthday during the fishing week. 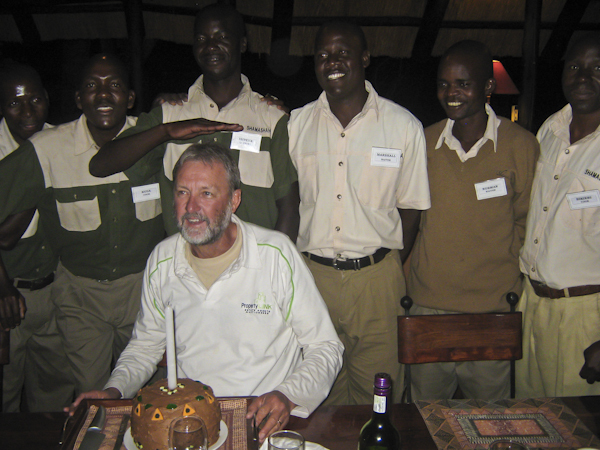 He was presented with a birthday cake - made from elephant dung! Thank you for sharing some tourist places it will be very helpful for everyone. 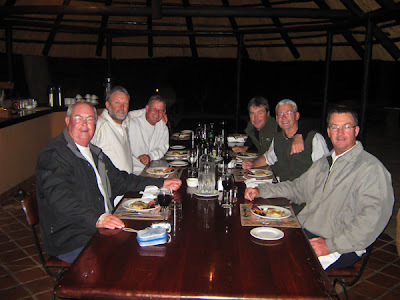 Keep giving updates so that people can get new ideas for their tours.